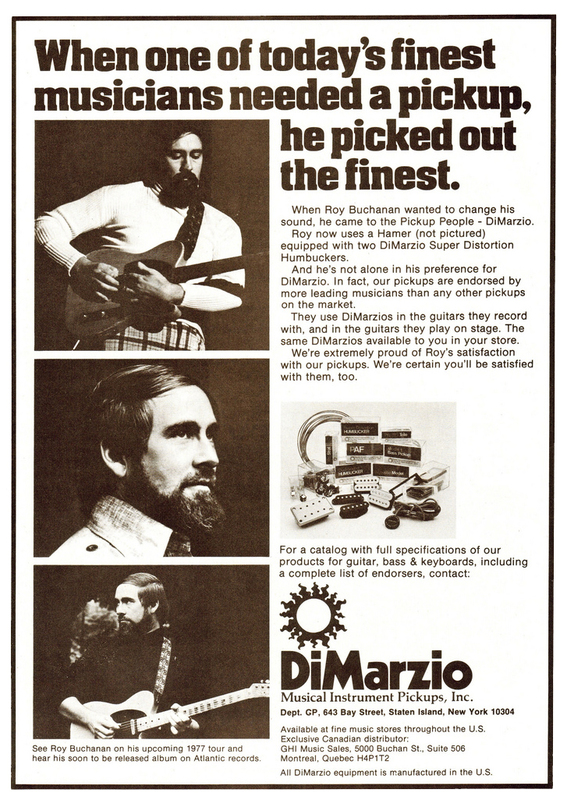 Roy Buchanan in a DiMarzio ad from Guitar Player Magazine, May 1977. 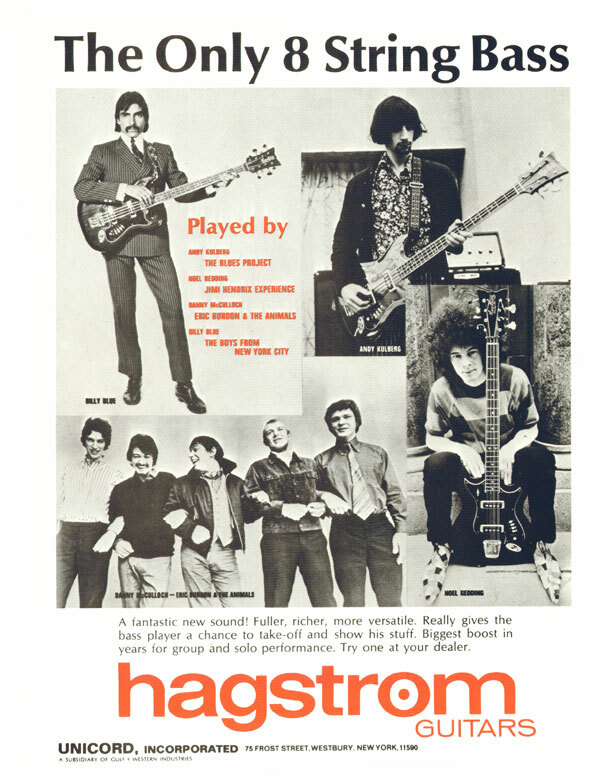 I love how nothing is actually related to the old pictures of Buchanan playing his Nancy. 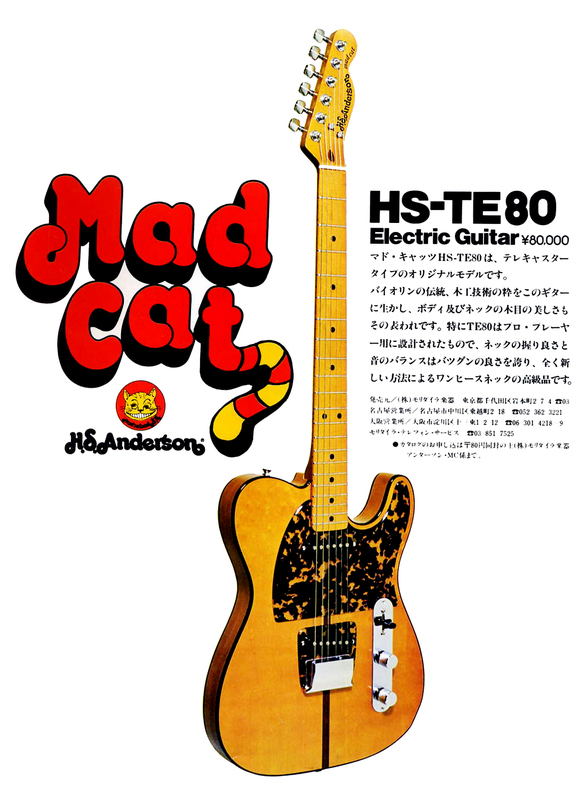 “Roy now uses a Hamer (not pictured) equipped with two DiMarzio Super Distortion Humbuckers”. 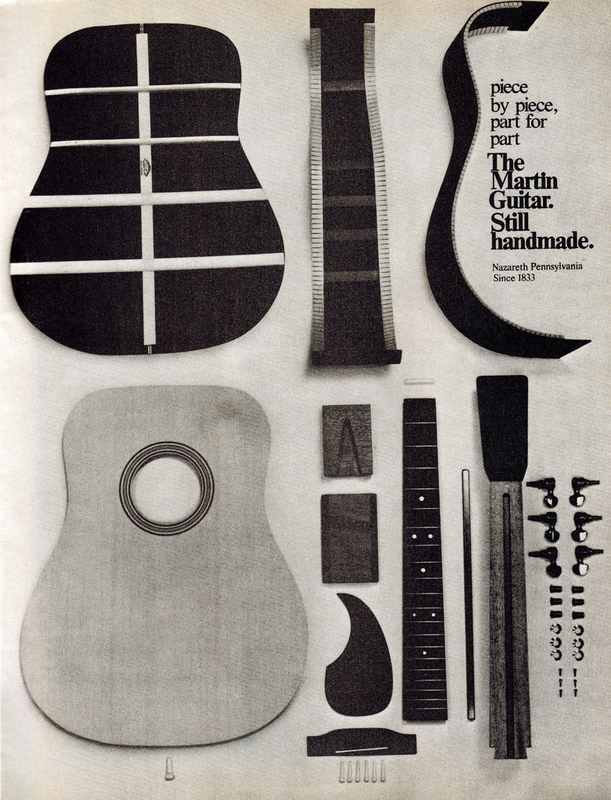 Martin guitar ad from Guitar Player Magazine, September 1974. 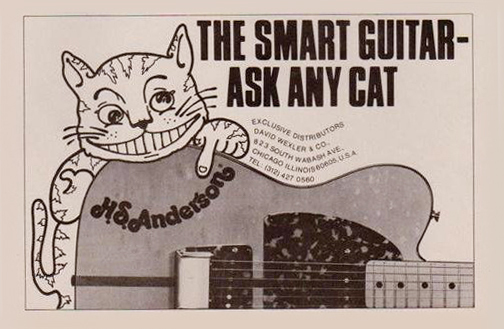 I love how few parts an acoustic guitar has. It seems like I will soon be the proud owner of an early 1970’s Levin 174. A nice Danish chap by the name of Orla wrote a comment on my previous post about Levin, saying that he had one for sale. 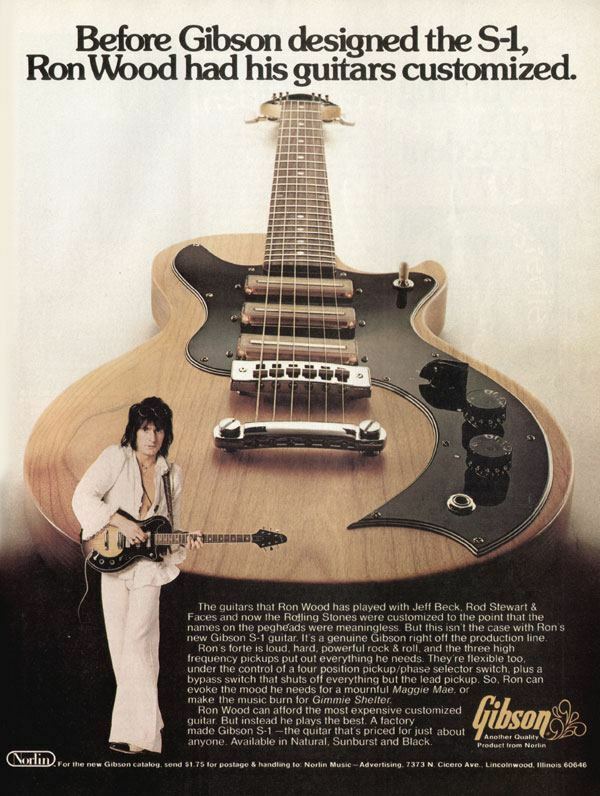 I will write more about it as soon as I get it but for now, enjoy this Goya ad for the same guitar from 1970.